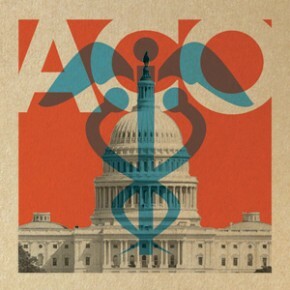 The ACO (Accountable Care Organization) concept is the already failed model of the HMO (Health Maintenance Organization)- same pig, different lipstick. If this gets sold nationally the public really doesn’t understand economics. You don’t meet a rising demand in consumption with a payment model predicated on lowering productivity which is exactly what HMO’s and now the “new” ACO models are designed to do. The government is complaining about the cost of healthcare due to the simple fact that it is rapidly becoming the payer for these services. The more society allows fewer payers for healthcare the more demand for cheaper care there will be. Cheaper is not better and many of us are already wanting something better than what is being delivered. Due to the lack of payer competition we are getting less options and paying more due to inefficient delivery of the capital to the actual providers of product/services. If individuals want less expensive and better healthcare then we need to end price fixing, which is exactly what Medicare (government) engages in. Since 1993 by law the physician services market cannot collect from enrollees more than what the government determines it is going to pay for any covered service. Hospitals are paid lump sums of money for services regardless of the resources utilized in providing that service. Negotiating from the Medicare fee schedule allows the private insurance payers to engage in similar price fixing. Price fixing creates distorted supply and demand dynamics. It removes accountability not only from the consumption side but equally importantly from the supply side. Suppliers who are getting paid above market value are requesting further regulation in order to protect this distortion. On the flip side when prices are set too low some valuable services disappear. This explains the long standing and ever growing shortage in primary care physicians. Contrary to Christensen et al’s recommendations, trying further price-fixing by designing more regulations to promote hiring less trained individuals won’t solve the supply problem. Trying to ram a square peg (Nurse Practioners and Physician Assistants) into a round hole (Doctors) will not solve what the economy wants, namely more highly qualified doctors to help take care of patients in an ever increasingly complex healthcare system. The answer to this healthcare quagmire is to stop suspending our belief that non-individual entities like insurance companies and the government are smarter consumers than single person buyers of a service or good. Providers in the system need to set real and transparent prices for their services. This will open real competition. Individual customers need to pay for these services when (and only when) consumed. Healthcare marketing needs to properly explain what is in the market and why a buyer needs or wants a service. Good ethical physicians need to design how their services are delivered and also to guide their patients through the healthcare market. The hospitals need to get real in what they charge for an aspirin or rental time for their operating rooms and staff.